By now we’ve heard about all there is to say about the match up through every media outlet possible. The Super Bowl always wears on me a little leading up to it, but having the two number one seeds has me a little excited. I feel like I’m tired of the game before the game is even played, but when it finally goes on you can count on me watching. Media day is probably the most pointless sound bite day of all time. At one point it was cool and fun, but nowadays I could care less about what people think the outcome of an arm wrestling match between Brees and Manning. I mean seriously, is this the top story!?! Anyways, I’m declaring the Saints the home team in this one, since numerous people in New Orleans are being given the whole week off to travel to Miami, and support the team. It’s a scenario I’ve never heard of before, as the whole city seems to be closed down just to root for a sports team, and even schools are closing down for this big game! Are they more than a team to this city? Probably, and that’s why this will have the feel of a Saints home game. Not that there won’t be Colts fans there, I’m sure there will, but you can bet they will be in the minority. We all know about how good these QB’s are, so I’m going to try and breakdown the other things in this game that I see being the biggest factors. I’m not going to pretend that there’s a lot of new information to enlighten you readers on since you’ve probably been following along on the daily coverage, unless of course you somehow missed that Freeney was injured, and the big fallout of the ankle injury, was that the Vegas line shifted a half point. It’s been pretty much the huge story of the Super Bowl this year, and although it looks like he might play the question now becomes will he be healthy enough to be effective. 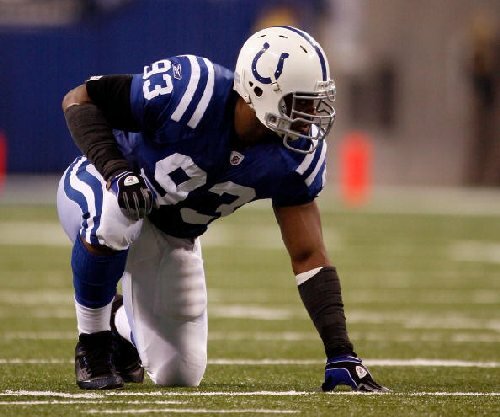 There really isn’t anyone on the Colts D that you gameplan for more than Freeney. If there is, let me know, because I’m unaware of that player at the moment. I’m wondering if this is karma kicking in, as the Colts should still be going for the perfect season, but instead opted to rest their starters at the end of the year. Now that they aren’t at full strength, I wonder if any of them are regretting not going for the perfect season and could have avoided playing the Jets in the AFC Championship game where Freeney got hurt. I’m also surprised how many people are picking the Colts to blow out the Saints. 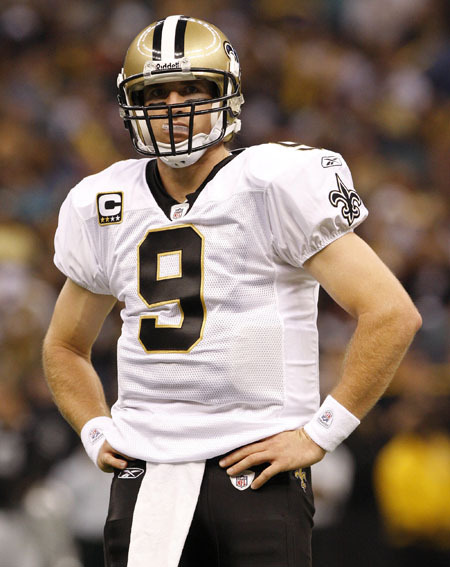 Sure they blew out Joe Flacco and Mark Sanchez, but can they blow out Drew Brees? I don’t think I need to say this, but I will anyways. Drew Brees is in another league compared to the guys the Colts have beat in the playoffs so far! I have no doubt that the Colts can keep up on the scoreboard with them, but will their defense be able to stop the Saints like they did with the Ravens and Jets? The Saints are actually a balanced offense with an underrated running game, so it will be a lot tougher for the Colts to figure out what they are doing opposed to run, run, run like their last two opponents. I also think the Freeney injury will give Brees a ton of time in the pocket, and will make Mathis much less effective, since they will be able to double him every play. I think if the Saints get a good running game going that could be their best defense (keeping Peyton Manning off the field). The Colts are the more experienced team, and while I’m sure that will help them, I think the Saints are the team of destiny. The Saints are the inexperienced team, and only have four guys that have ever played in a Super Bowl. For some reason I don’t think they will be nervous or fall victim to the bright lights of the big stage. I don’t see them falling behind by a couple TD’s early in the game like many seem to think will happen. They’ve had luck on their side all season, and seem to catch the big break every time you start to doubt them. The Saints have been putting pressure on QB’s all postseason. I think beating down Favre and Warner was much more impressive than the QB’s that the Colts D has stopped. Not that I’m overly confident in the Saints D stopping Peyton, I just think their playoff resume shows they are capable of slowing down big name QB’s. One thing do they have working for them is the fact that the Colts don’t run the ball. The Saints have one of the worst rushing defenses in the league, 21st in the regular season, and have given up over 125 yards on the ground per game. They weren’t exactly good at stopping the passing game either, but they did have the third most turnovers forced in the league. I see a couple turnovers happening in this game, and think whoever ends up winning that battle will most likely win the game. I don’t see Peyton turning the ball over, but he does have some rookies out there that could easily lay the ball down like Garcon, Collie, and Brown. One last note, remember how the Colts seem to always have a tough time against the Chargers in the playoffs? 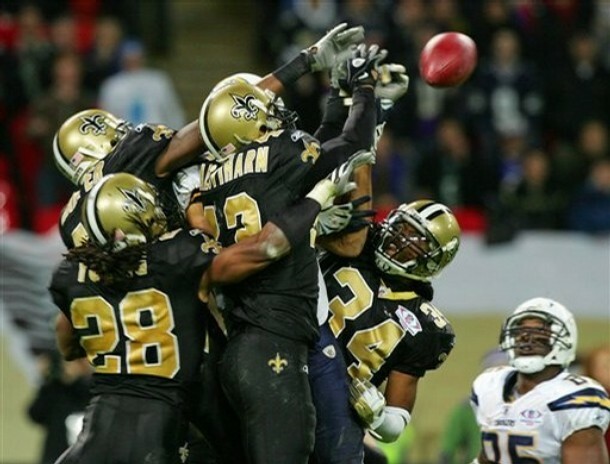 This Saints team reminds me A LOT of the Chargers teams that knocked the Colts out of the playoffs in years past. Great QB, check. Solid receiving core, check. Solid running game to keep Peyton off the field, check. A defense that puts pressure on QB’s, check. A swarming defense that creates turnovers, check. 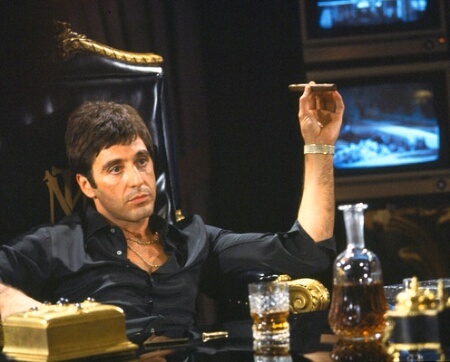 Here’s to hoping for a shootout, and going waaay over the 56.5 point over under, Saints 49, Colts 42. He’s a tough luck number two in this race. I’d say it’s mainly due to the fact that he’s had a few rough games lately, and has been a little more mistake prone than we’re used to for his standards! He’d probably drop down the list if they actually lost any of those games, but they’re still undefeated! There’s nobody you’d rather have in the 4th quarter right now than Manning. He’s led 5 straight 4th quarter comebacks, and that alone puts him close to or at the top of most peoples MVP lists! You won’t find any of us at Doin Work clamoring over Favre like the guys on TV, but you can’t deny what he’s done this year. He’s got the second best QB rating behind Brees, the second most TD passes, also behind Brees, and the second highest completion rate, behind Manning. Add to that, he’s only thrown 3 interceptions all year. That’s a good game for Jay Cutler! With each week that Tennessee further turns around there 0-6 start to the season, Johnson’s place in this discussion elevates. He leads the NFL in rushing by over 270 yards, and his six consecutive 125+ yard performances puts him in Earl Campbell / Eric Dickerson territory. If Tennessee makes the playoffs, he makes it a four man race. If they lose their next two games, he drops out of the discussion completely. It’s amazing that Favre’s play has made us overlook what a great season All Day is having. Maybe it’s just becuase the media has made it Favre’s team, but I’m betting if Peterson wasn’t around, Favre wouldn’t be #3 on our list today. Since he has to be accounted for, it’s no wonder Favre is having the type of season he is having! 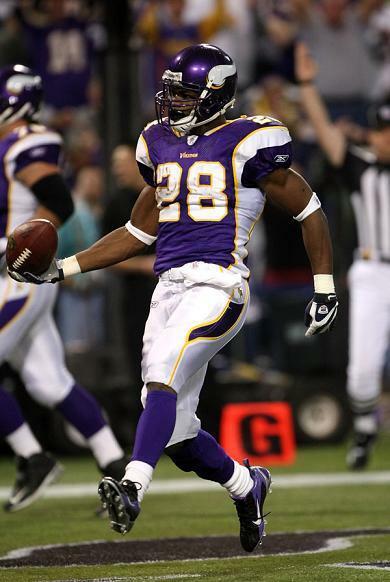 AP already is over the 1,000 yard mark, has 12 TD’s, and at 4.7 yards per carry. If he was on a worse team, he’d have better numbers than that! Really scary! Who is the Best of the NFL’s Undefeated Teams? The game looks easy for great players! After debating with some friends and co-workers about who is the best undefeated team in the league, I think I’ve made my choice, and that choice would be the New Orleans Saints. The Saints have made the best case for this spot, and it all starts with Breeeeeesss! His complete demolition of the #1 rated NFC Giants defense was pretty much the marker for how good they are this season. I thought they were good before, but this past weekend has made me see the light! Their run so far has been nothing short of amazing, and their whole team seems to be on the same page on offense and defense. They’ve even showed they can run the ball, but teams will still scheme to stop Brees. They are truly a team that has everything working on all cylinders. They have a great leader to keep the ship steered straight, and fired up at the same time. I think they are a gambling mans goldmine as they cover the spread every week. One more crazy Brees stat since I’m all over him like Tim Mclelland on those 3rd base calls tonight during the ALCS. 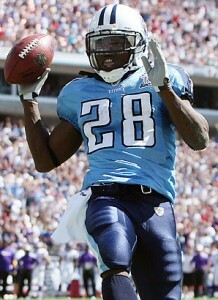 He’s got 13 TD’s this season which is only 7 less than all the QB’s in the NFC South combined and he’s had a bye week. The Colts came in a close second, and it’s really hard to pick against the reasonable early choice for MVP, Peyton Manning, but at the moment I have them slotted in at #2. We really haven’t seen the Colts at full strength, so it’s tough to say what they’ll be like when Bob Sanders and corner back Kelvin Hayden return on defense. With the relentless Mathis and Freeney, it can only give offenses more problems to worry about. They also recently lost Vinitari the most clutch kicker in a long time! If they get healthy, they might be getting the ball back more often for Peyton to work his magic. Maybe it’s because they haven’t been tested by any truly good teams yet, so there isn’t real measuring stick to go by for them. It’s too bad we won’t find out this week as they should run over a hapless Rams team. I don’t think Vegas can set a line high enough for the Colts coming off a bye week playing the Rams. It’s probably my top pick in doin lines week 7! Anyways, the Colts have the most room to improve of the undefeated teams as Peyton gets better acquainted with his receivers, and their defense gets some extra swagger back with Sanders. Either way, they are going to be a force through the rest of the season. I think Marshall is as surprised as everyone else that it's all working out in Denver! The Broncos are a shocker to everybody except maybe, Bill Simmons… I might root against them because they are in my beloved Raiders division, but in the end they have been very impressive. They are balanced, and Orton doesn’t make mistakes. Who cares about his winning record as a QB, it’s all about their defense and preparation for the games. Sure Orton might be a good game manager, but he’s not anywhere near the same league as the two guys mentioned above. The Broncos have seemed to be one step ahead of their competition every game, and at the perfect times. I along with many kept waiting for the, I told you so loss, but it keeps not happening. I guess they are for real. I kinda thought they were the real deal last year, and crumbled epically bad down the stretch, but this feels like and is a much different team. The only reason I still have a mild doubt is that they haven’t had one injury this year. They haven’t made one change to their regular season opening roster, which makes me wonder if they have any big holes in the backups positions. One crazy stat; they’ve only allowed 10 points on defense in the 2nd half of games. They’ve given up more special teams points in the 2nd half than defensive points. This just shows how great they are at making crucial halftime adjustments. If you can win half the battle you can win a lot of games, even the Raiders D proved that against the Eagles. Bystradaumas wrote a good piece on the Broncos D.
The Vikings come in fourth in this race. I think they have the weakest coach of the bunch, and seem to struggle to hold the big leads that they have had in nearly every game. Giving teams chances could have cost them two games. They could have easily lost to the 49ers and the Ravens. I just don’t have confidence in Childress when the game is on the line, but he’s been lucky so far. Childress feels like a guy that would rather have the clock run down instead of going for an extra score with :40 seconds before the half. His weak decisions will cost them a game at some point, and almost led them to a 4-2 record, which makes me feel like they are at the bottom of these four undefeated teams. 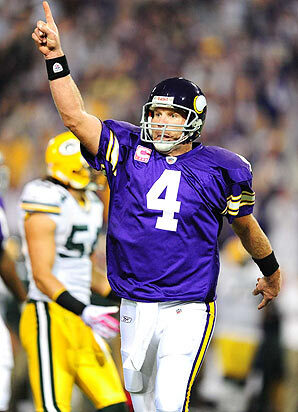 I’m really mixed with the Vikes as I like AP and Jarred Allen, but Favre annoys the crap out of me! It’s really hard for me to like or dislike them. It’s really confusing me! So I’ll leave it to you to decide! This season has been great so far! I had a good Sunday last week going 5-1, and my sole misstep was betting on my own team. I guess my new rule should be to never bet on JaMarcus especially at home, where the crowd might be more hostile than any away game as seen on this youtube clip after the Denver game! My season record is now 14-4 from my picks last week, and my high confidence picks from the first two weeks. It’s scary how confident I feel picking games right now, I think I might be in for a big let down soon. Not like .500 let down, we’re talking Brad Lidge meltdown, but hopefully that won’t be next week! Since the bye weeks are starting up, I only really like five of the games on the board, so without further ado, here are my LOCKS of the week. Once again the home teams are in bold. I can’t really believe that I’m going to pick the Lions two weeks in a row, but when you get ten points for a team playing against a team that only shows up half the time, I’ll take those points. For some reason I think if Detroit tries hard in any game for the rest of this season it will be this one. If you win your first game out of the last 20, wouldn’t you be fired up to do it again? I’m pretty sure I would, especially going against a long time rival. I don’t see them winning on the road, but I look for them to put up a good fight to cover two scores. On the Chicago side, it seems like even though they injected some insulin into their offense they still don’t seem to be clicking. Sure they beat Seattle, but it was lucky at the end of the game on some blown coverage. If a suspect Seahawks team can hang around with them, so can the Lions. 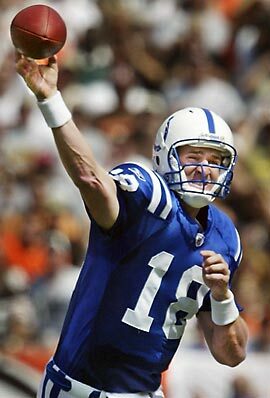 Speaking of those Seahawks, they get to play against the princess of the NFL, Peyton Manning. In any betting format can anyone really talk themselves into taking Seneca Wallace over Manning on the road? Didn’t think so. Who cares if Freeney is out this game, Seneca probably couldn’t even start for the Browns. Seattle has six starters missing from the lineup including their QB. When you already have your 8th starting lineman in the lineup it’s not a good sign for Seattle’s offensive continuity. Opposing quarterbacks have completed 74% of their passes against the Seattle D, and although they get Lofa Tatupu back, I think Peyton should have this one finished off by halftime. Look for Joseph Addai and Donald Brown killing some clock in the second half. Like Fabulous says “Put it in the bag”. Pennington’s absence is obviously going to hurt the Dolphins. They can only run the wildcat so many times before they need to throw the ball, at least a little. For some reason I can’t see Chad Henne having the same type of success as Mark Sanchez or even Matthew Stafford has had in their young careers. Hell, he could barely manage Michigan’s offense. With Porter, their defensive leader, still questionable for the game I have to go with the Bills. Are you ready for BEAST MODE!?! It’s really hard to be confident in the Bills offense, as they somehow got shut down by a Saints team that seems to give up a lot of points even if it happens to be garbage time. TO didn’t record one catch last week, which was the first time in 185 games. I’m sure this news is as relevant as his show is, but they do need to find ways to get him and Lee Evans the ball. They will get a huge boost as Marshawn Lynch is coming back fresh off his suspension. Last weekend was a heart breaker for the 49ers as they were the better team through much of the game. Despite losing Gore they proved that Singletary has turned them into a full on team – that doesn’t quit. They seemed to receive contributions from everyone. Now that they’re in the confines of their own home, I see them dominating a weak St. Louis team. The Lambs are racking up injuries and losses like they’re going out of style. They have dropped 13 straight which is making me a believer that they could be this year’s Lions. The lambs must be scared that there are wolves in the end zone, because they’re averaging a league low 8.0 points per game. Kyle Boller is supposed to start this weekend, so it looks like he’ll be Patrick Willis’s lamb chop. I have as much confidence in this pick as I believe Jordan can make a comeback at 50, but only picking four games is weak! I know we’ve all heard that this isn’t personal for Favre, and that he’s not taking it as anything more than a game. Screw what he says, I think it will be more emotional than he anticipates, and in a spiteful rage he’s going to force some throws maybe getting a little too greedy. This is a very bad idea against a ball hawking defense like the Packers. Their D already has 7 picks on the season, and I see Favre forcing one at some point for a pick 6. The Minnesota defense is currently ranked 4th in the league, but their first two weeks were against the Browns and the Lions (not exactly powerhouse offenses). Although the Packers lost to the Bengals, and haven’t showed much consistency this year, I feel like they are due for a all around well played game. I think Rodgers will benefit from overload of media surrounding Favre, so hopefully we’ll see relaxed Rodgers out there. Plus, in the wishy washy state I’m in with this game I’ll take the points, because many of these divisional battles come down to a last second field goal.